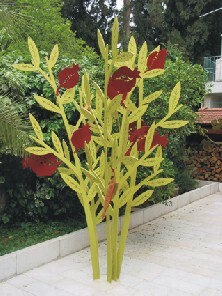 Pomegranate and fig trees followed shortly thereafter, and were executed in large-scale in steel. They too reside in our garden. 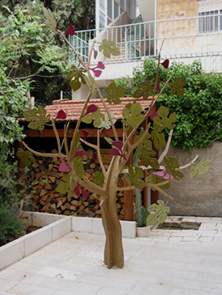 Yet to join the series are representations of the grape vine, the wheat and barley shafts, and the olive tree.